Technology for tennis has changed over the years, but one of the coolest changes is the amount of apps that can be used while you play or watch tennis. Sports especially are immune to technology upgrades and tennis is no exception. 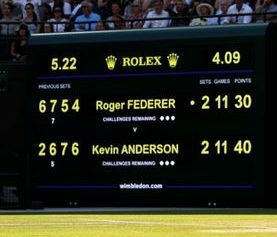 We have seen the pro level change a lot over the years to include electronic scoreboards, hawkeye, digital advertisements on court, and more. Today we are certainly driven by a smart technology world where we depend on apps for almost everything. The concept of apps started taking off in 2008 after Apple’s App store became a monster player. Shortly after we started seeing apps being created for tennis so you could track your playing stats or track your favorite ATP/WTA matches. Today, apps are the most popular tools for consumers to read, learn, watch or analyze the game right from their mobile device. I am going to take a deeper look into some popular tennis apps and sensors that have changed the tennis industry over the last several years. 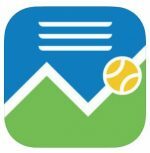 Tennis Apps are becoming popular by demand and there are over 1,300 unique tennis apps that can be used on Apple or Android platforms. Here are some of our favorites. This app allows you to keep up-to-date on the latest ATP and WTA ranking projections. You can view the information in real time as players are playing in tournaments. You can follow your favorite players’ schedules to see what their next tournaments are coming up. This app also gives you access to individual player stats, best scores, career high tracking, live scores and even ITF qualifying tournament updates. This app is free to download on Android or Apple devices, but comes with pop up ads. If you are a true fan of the ATP and WTA, then this app is just right for you. This is the official live scoring app of the ATP World Tour and WTA. Similar to the Live Tennis Rankings app, you can follow your favorite professionals from tournament to tournament capturing their scores, ranking, matches played, upcoming draw, bio and head to head records. This app will include all the ATP Challenger events, main 250, 500 and 1000 level tournaments throughout the year with the exception of the grand slams. You can download this app for free on Apple and Android devices. This is best app for players, coaches or parents who like to analyze statistics before or after a tennis match. 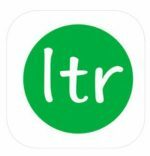 This free app allows you to save scores for future reference as well as send or share your stats with anyone you know. Similar to the technologies that you see on television, you are able to track winners, errors, types of shots hit, serves/returns, faults, sets, tiebreakers and advantages. There are lots of settings with this app and you can customize it each match you play. This app is applicable on Android and Apple devices, but comes with pop up ads and someone else will have to record your stats while you play. Buying a tennis racquet is hard enough, but calculating specs for your personal racquets is even harder. Not every racquet is made the exact same and this app is here to help you better understand your frames. 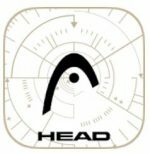 This app will let you calculate the head weight and balance point for each of your racquets as well as give you instructions on how to measure your frames. This is a great tool for players that like to customize and want to have their frames similar in weight/balance. This app is free to download on Android devices only and it does not calculate the swing weight, flex or actual strung weight. This is a unique app that can apply to every sport today. It is a video platform built to view yourself from an outsider’s perspective and analyze your swing to improve your technique. You can record in slo-mo or real-time and instantly see what areas are giving you trouble. This app is free to download on Android or Apple devices, but there are ads, a 15 day trial period, only 2GB of free cloud storage and you can only register five devices. To really get the full benefits of this app, you will want to update to a VIP individual or team package which is $120 or $240 a year. This may seem like a lot but it is cheaper and easier to use than an actual video camera. This app is perfect for tennis coaches and instructors alike. This is an on-court tennis program management and player development app that helps tennis coaches increase operational efficiencies. This allows the coaches, parents and players to connect with each other and get instant feedback on the player’s performance or changes to the daily schedule. Features include: attendance tracking, evaluations, fitness testing, match record data, tournament data, head-2-head analysis, leaderboards, push notifications and more. This app is free for players and parents to download on Apple or Android devices. Coaches will need to register online and pay for a specific plan to fit their needs. 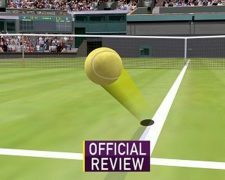 Tennis sensors are probably the coolest invention to hit this sport. There are many things that sensors can do from tracking your spin, ball speed, time on court, and calories burned to analyzing your forehands, backhands or serves. With sensors connecting through a mobile app you can also view video analysis of your matches or practices. Here is a look at different sensors over the years and how they have changed the way players analyze their game. One of the first tennis tracking apps and sensors was the Babolat Pure Drive Play tennis racquet in May 2012. This was a concept that many players and manufacturers thought about but couldn’t ever get the kinks out to work properly. This sensor is able to connect your racquet to your phone or tablet so you can track your stats while you play. Pro players like Rafael Nadal, Fabio Fognini and Caroline Wozniacki started endorsing the play racquets which grew the concept to new heights. 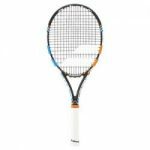 In 2015 when more and more companies were breaking onto the scene, Babolat upped their game to create the Pure Drive Play 2 as well as Babolat Pop. Both technologies involved analyzing your game, but one concept placed the sensor on your racquet while the other placed it on your body. 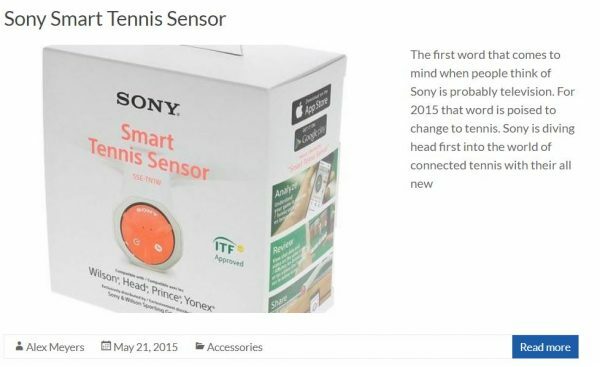 After the launch of the first sensor, many tech companies tried to compete with the powerhouse tennis brand including Sony. In 2015 after test runs in Eastern Asia the brand launched its Smart Tennis Sensor. However, this sensor was created in partnership with Wilson, HEAD, Prince and Yonex so more tennis players could benefit from the technology instead of switching racquets. The sensor took off right away and grew immediately, but soon after would die down due to battery issues. 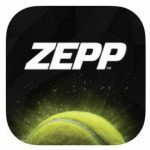 Zepp is another company that took off in the sports technology industry, but they didn’t start with tennis. Originally their sensor and app started with golf in November 2011. 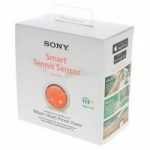 Around the same time as the Sony Smart Tennis Sensor was the launch of the Zepp tennis sensor with Milos Raonic at the forefront. 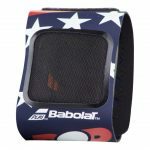 They followed in Babolat’s footsteps by creating a sensor that be placed on the bottom of your racquet and connect to your phone so you can analyze the data after you play. However, their concept was to have a device that can be interchangeable between many different racquets. 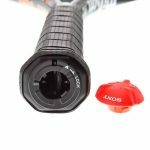 This sensor didn’t take off as well as the Babolat Pure Drive Play, but many customers were willing to buy it due to its cheaper price tag and ability to switch racquets. 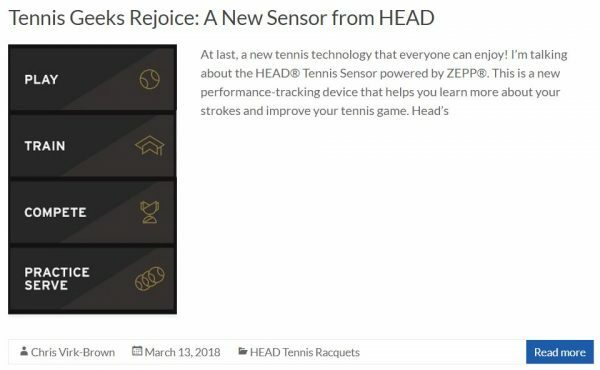 In 2018, Zepp has partnered with HEAD to create a new tennis sensor specifically for Head tennis racquets. 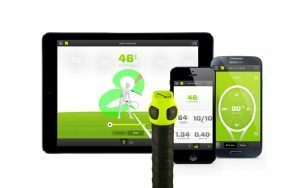 The companies combined its technologies to create a sensor and app that analyzes your game as well as showing you ways to improve your game. Though this concept is still a trending topic for sports, it seems that tennis sensors are not meeting the expectations many customers have hoped for. As technology keeps changing the question remains “will there be more tennis sensors or apps?” I feel that apps will continue to grow so tennis fans can continue to watch/track their favorite pros on tour as well as analyze their personal tennis game. The app industry seems to still be increasing and with many phones or tablets turning to smart phones I don’t see this trend decreasing anytime soon. As for tennis sensors, I don’t think sensors will continue to trend upwards. Companies have tried to produce something they feel was adequate in reaching tennis customers, but the gadget problems often outweighed the price tag of these devices. Once the price tag can be dropped for these sensors and device problems become scarce, then we will see a positive trend towards tennis sensors again.